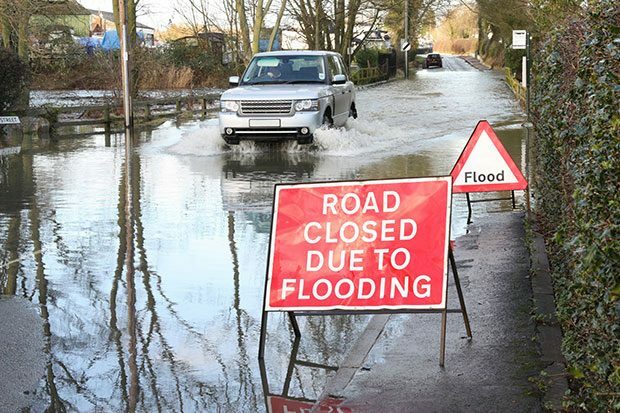 The Environment Agency and Natural Resources Wales are responsible for providing flood warning information to people at risk of flooding in England and Wales. We do this by sending information to users by text, email and automated phone calls. In December 2018, we successfully switched the texting part of the service to GOV.UK Notify. Since then we’ve been exploring how we can use GOV.UK Notify to make further improvements to the service - including our ability to send out letters. A good example of the benefits of GOV.UK Notify can be seen when we look at how the weather can influence our service usage, as the weather has a big impact on the number of users registering, updating and cancelling accounts. Volumes can be hugely variable and difficult to predict, particularly during wet weather. In the past, we had to liaise closely with our third party letter provider to monitor the stock levels for our headed letters, envelopes and enclosures - we didn’t want to cause delays to the letter sending process by running out of stock. Using GOV.UK Notify, we no longer need to do this during busy flood events. Instead we can focus on doing what we do best – making sure the service is efficiently and quickly warning those at risk of flooding. 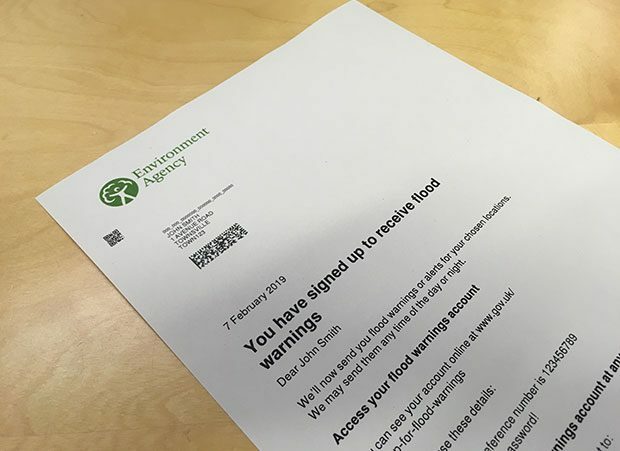 Our first choice is always to send emails to users rather than letters in the post; it’s a quicker, cheaper and more environmentally friendly way to inform users of their flood warning account details. But only about one third of our users have provided us with an email address. We’re looking at ways to make it easy for users to add an email address to their account. We’re going to add information on our online service pages to prompt users to add one, and also add similar content to letters we send out. That’s one of the great things about GOV.UK Notify - it’s easy for us to change things quickly and easily. You can sign up to our free flood warning service on GOV.UK, or by calling Floodline on 0345 988 1188. After 17 years why still Defra digital?